As if wifi and mercury in amalgam fillings weren’t enough in isolation. We now know that the two together double the lethal effect. I think all of us have now understood that putting the most lethal non-radioactive element in the mouths of children and adults alike, is a very silly thing to do. 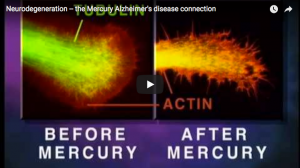 But in case you are not up to speed with the science, Please look at the IAOMT website, where you will see vaporising mercury fillings, mercury in organ tissues and nerve damage recorded under a microscope. More of us however, are still laboring under the false impression that wifi is safe. It is not. let me first introduce you to Barrie Trower. He is a retired microwave weapons expert who has come out of retirement to set the rather frightening record straight. Then there is professor Dartsch, a highly acclaimed German cell biologist. Here, he demonstrates very simply how high frequency radiation from a cordless home phone, damages human cells. But here’s the kicker. 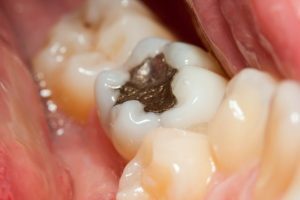 Last year, it was proven, that amalgam fillings release twice the amount of mercury vapor when exposed to wifi! In case that doesn’t alarm you, let me explain. In studies of children it has been established that those with the least mercury in their urine have the highest chance of neurological damage, including autism. This does NOT mean that they have less mercury in their bodies. It means that they are least able to excrete it. So what do you think will happen if we double their mercury load in the first place, by exposing them (or their mothers) to wifi? What if we bathe all the children’s mothers in a cocktail of microwave radiation from the routers and computers in their offices, to the smart meters and wifi enabled TVs at home, and the iPads on their laps to the phones tucked in their bras? And what if those mothers with their doubled mercury burden, fail to excrete it, and then agree to an influenza vaccine laced with traces of mercury (even though the manufacturer’s insert warns against it in pregnancy) ? What are those children’s chances of escaping neurological damage at birth? Then to make life easier, one might be excused for using a baby monitor, which is another source of microwave radiation, close to the mercury laden, developing brain of the child. If we’ve established that mercury vaporises twice as fast from a lump of it in the tooth, what might be happening to the traces embedded in glands and the brains of our children? Ignorance isn’t really bliss. It just feels like it for a while. Where electro-smog and mercury are concerned, ignorance is very dangerous indeed.